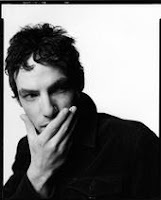 Plochmann Lane: Jakob Dylan (w/ Norah Jones) on Conan O'Brien tonight. Jakob Dylan (w/ Norah Jones) on Conan O'Brien tonight. Just a quick reminder:Tune in to Conan O'Brien tonight (Thursday, September 25th) to see Jakob Dylan perform "War Is Kind" with invited guest vocalist Norah Jones. Conan airs on NBC at 12:30 a.m.(eastern-pacific)/11:30 p.m. (central).